Fuzzy C-means has been adopted for image segmentation, but it is sensitive to noise and other image artifacts due to not considering neighbor information. In order to solve this problem, many improved algorithms have been proposed, such as fuzzy local information C-means clustering algorithm (FLICM). However, the segmentation results of FLICM are unsatisfactory when performed on complex images. To overcome this, a novel fuzzy clustering algorithm is proposed in this paper, and more information is utilized to guide the procedure of image segmentation. In the proposed algorithm, pixel relevance based on patch similarity will be investigated firstly, by which all information over the whole image can be considered, not limited to local context. Compared with Zhang et al. (Multimed Tools Appl 76(6):7869–7895, 2017a. https://doi.org/10.1007/s11042-016-3399-x) pixel relevance is unnecessary to be normalized, and much more information can play positive role in image segmentation. 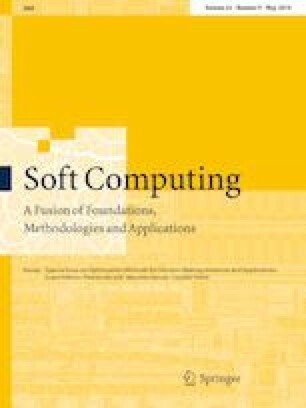 Experimental results show that the proposed algorithm outperforms current fuzzy algorithms, especially in enhancing the robustness of corresponding fuzzy clustering algorithms. This paper is supported by the National Natural Science Foundation of China under Grant Nos. 61602229, 61572286, 61772253, U1609218, 61472220 and 61771231, and the Natural Science Foundation of Shandong Province under Grant Nos. ZR2016FM21, ZR2016FM13 and ZR2017MF010 and Doctoral Foundation of Ludong University under Grant No. LY2015035. The authors also gratefully acknowledge the helpful comments and suggestions of the reviewers, which have improved the presentation significantly.